At the Best Bees Company, we’re working hard to figure out how to create better, healthier bees. Several factors including habitat loss, pesticide use, and disease have caused declines in wild and domesticated bee populations in recent years. 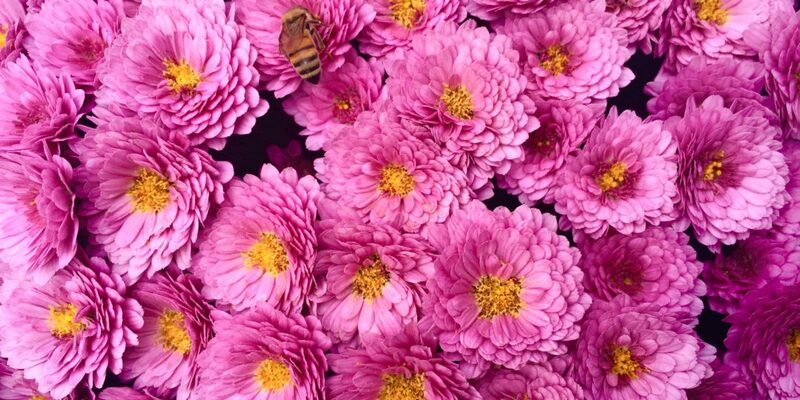 It may be surprising to know that anyone can make their backyard space into a bee sanctuary! Here’s how to do it. Avoid synthetic pesticides, insecticides, or herbicides in the garden. These chemicals are able to accumulate within the hive and reduce survivorship. Not only do these chemicals harm bees, they disturb all insects whether or not they are pests. Particularly avoid Neonicotinoid pesticides, which have been linked to lower reproductive success in drones. Plant flowers that are accessible to the bees. Single petal are better than multi-petal for easier access to nectar and pollen. Try to plant species that are native to your area. This will support the ecosystem’s native pollinators. 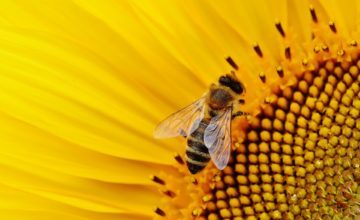 The color vision of bees is shifted towards the UV side of the spectrum, so yellow, white, violet, purple, or blue flowers will be the most distinct to the bees. In addition, it is better to plant in swathes or drifts. By keeping bee-friendly flowers in a single area, the foragers are better able to navigate to the feeding area multiple times. Also keep in mind that honey bees forage all throughout the year (except for mid-winter) so it is ideal to plan for successive blooms. It may be surprising to know that 70% of bee species actually nest underground. It’s important to provide suitable habitat for species other than Apis Mellifera. This can be done by leaving patches of bare soil clear; or, for wood nesting bees, you may choose to leave nesting blocks. Drilling different sized holes into untreated wood will work for this purpose. Make sure to stay clear of composite materials that will not stand the rain. Finally, honey bees drink water too! A bird bath or small bowl with some stones for the bees to land on is perfect for the bees. Make sure to change the water frequently. With these simple tips, your outdoor space can become a valuable bee sanctuary. By providing habitat and adequate nutrition for our pollinators we can help lessen the burden that we have put on our honey bee populations. To read the original article published in the Los Angeles Times, click here. Samantha Schloeman has been beekeeping for more than a year. She works part time here at The Best Bees Company, and also participates in research with our non-profit affiliate, The Urban Beekeeping Lab.